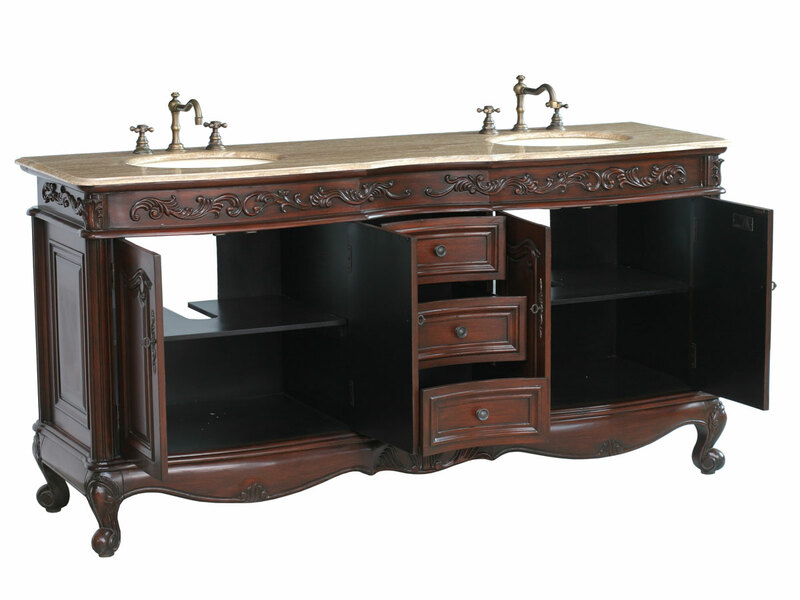 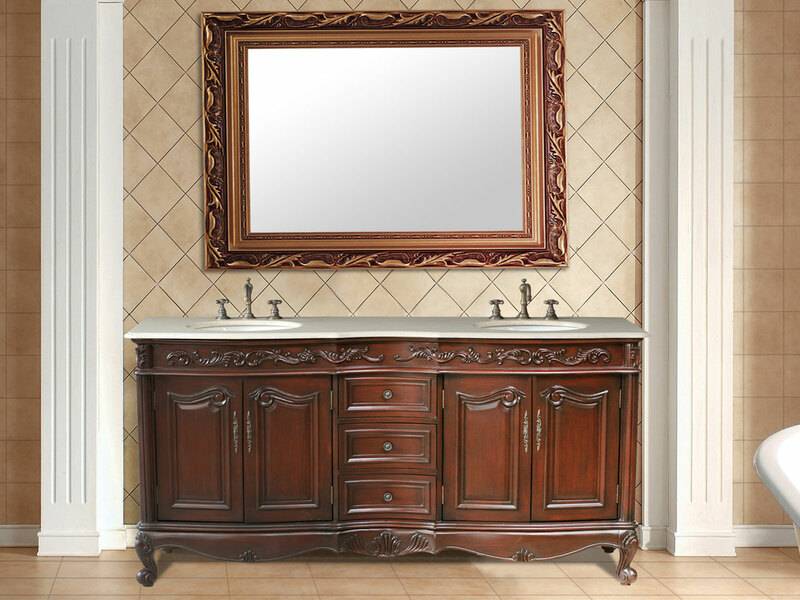 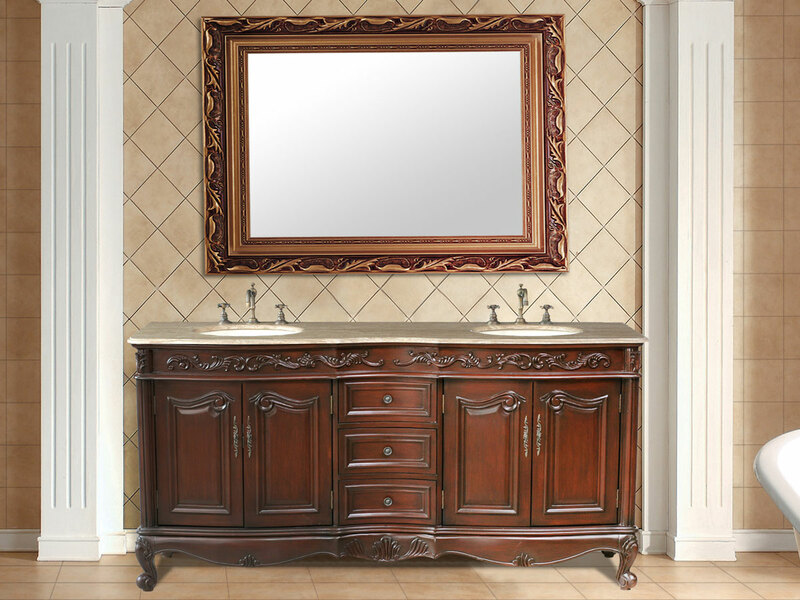 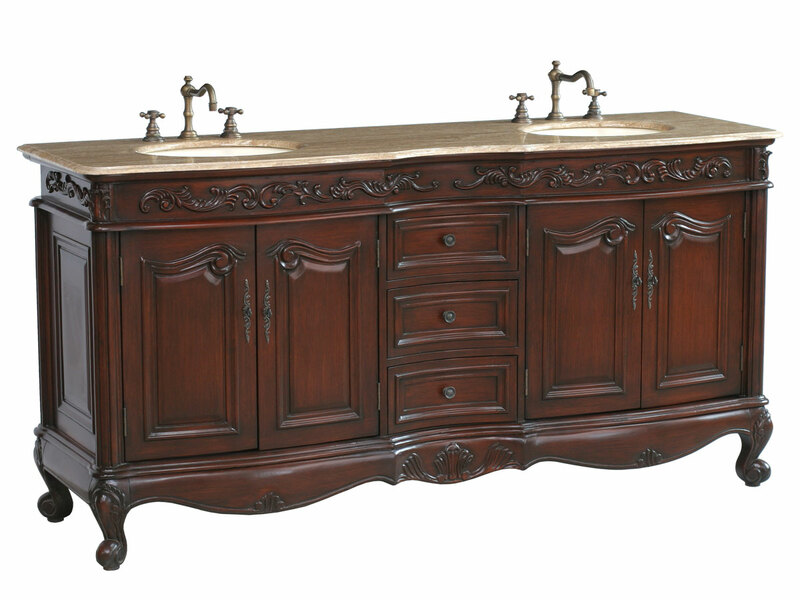 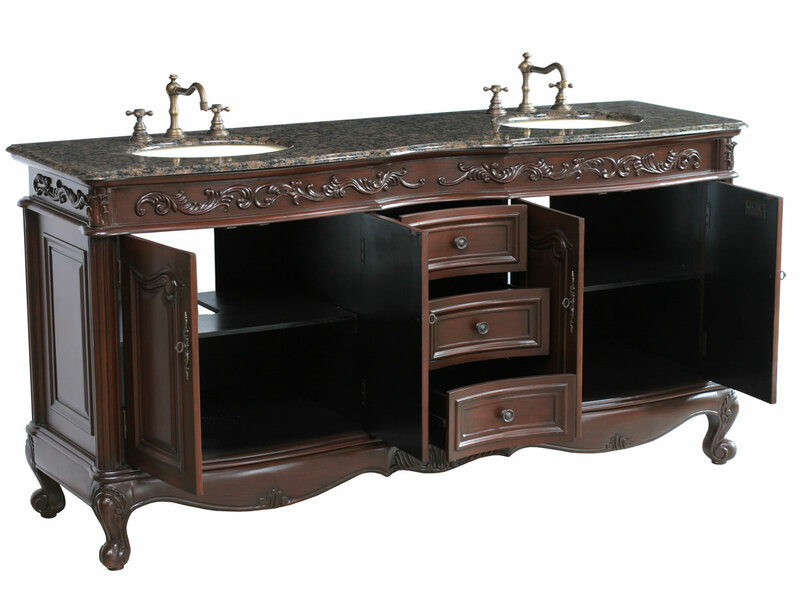 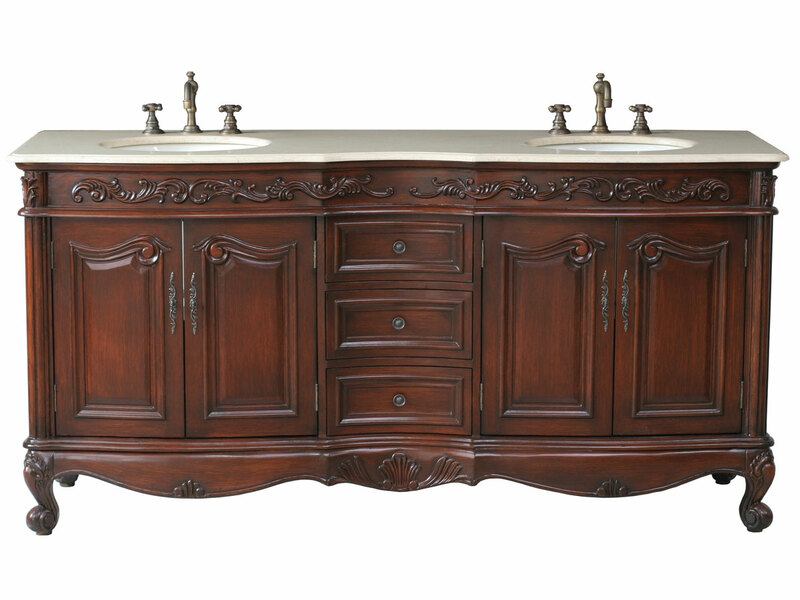 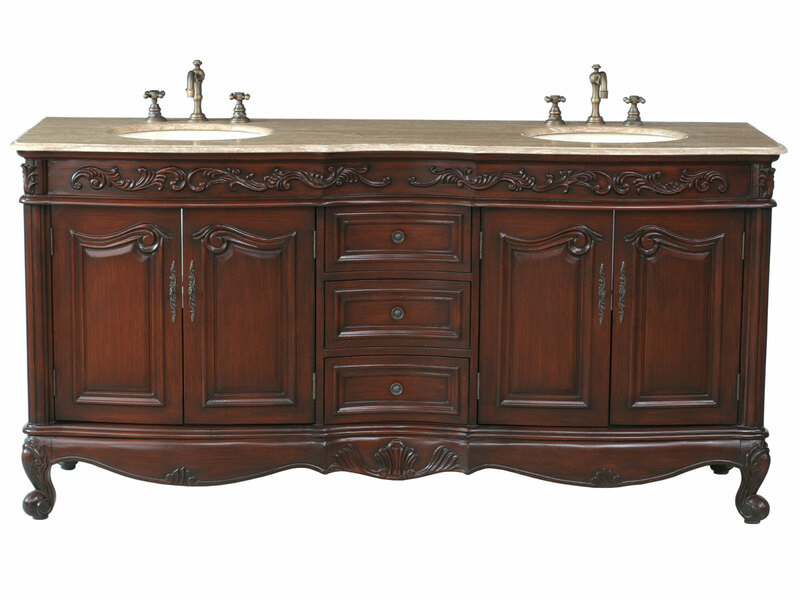 The 72" Van Buren Double Sink Vanity is an elegant centerpiece for a master bathroom. 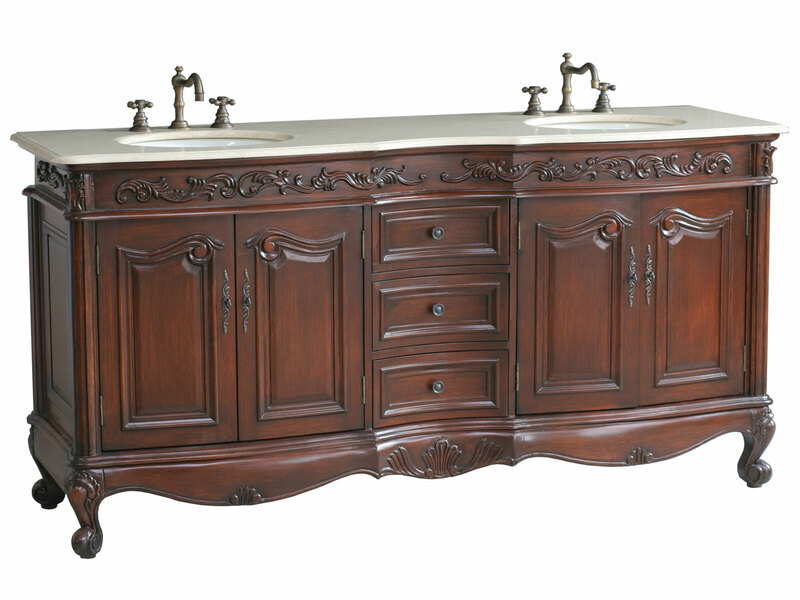 Its warm cherry finish and patterns are captivating. 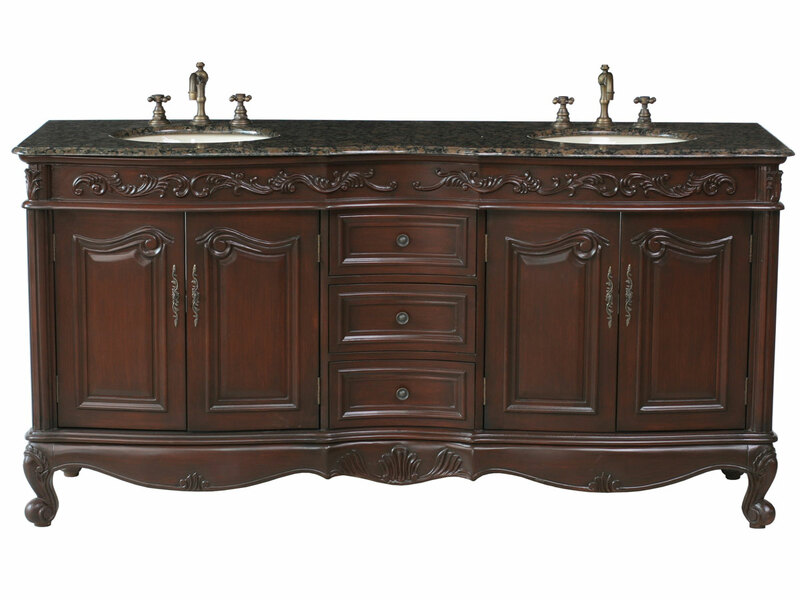 Ornate resin patterns decorate the top and lower aprons. 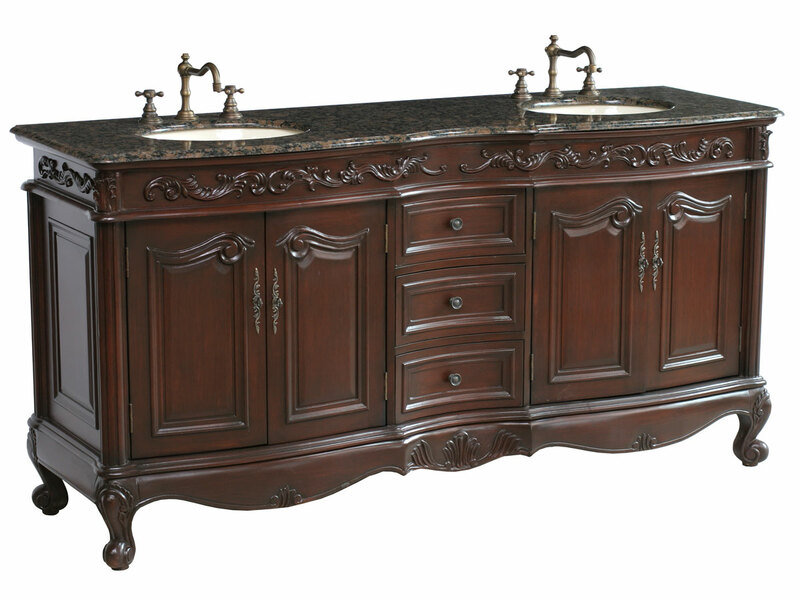 Even the handles feature a traditional antique style. 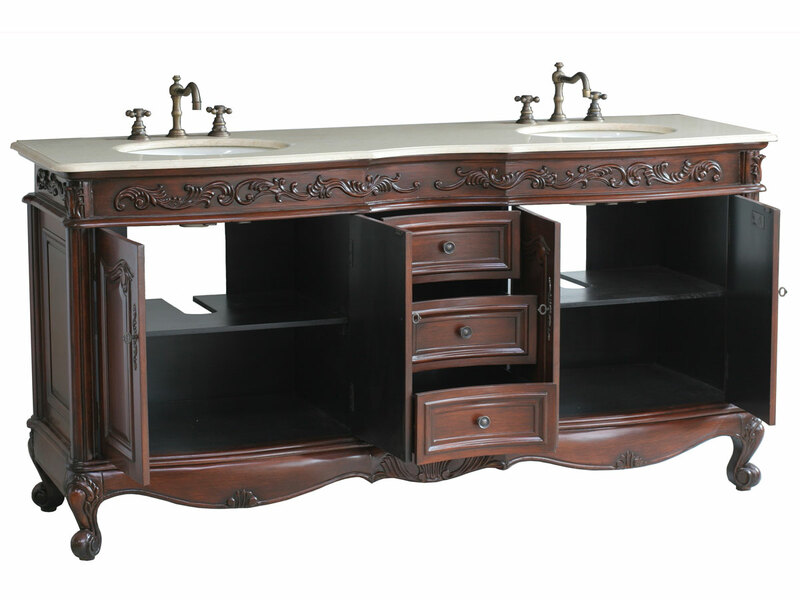 With three drawers, two double door cabinets, and plenty of counter space, this vanity has as much utility as it does style. 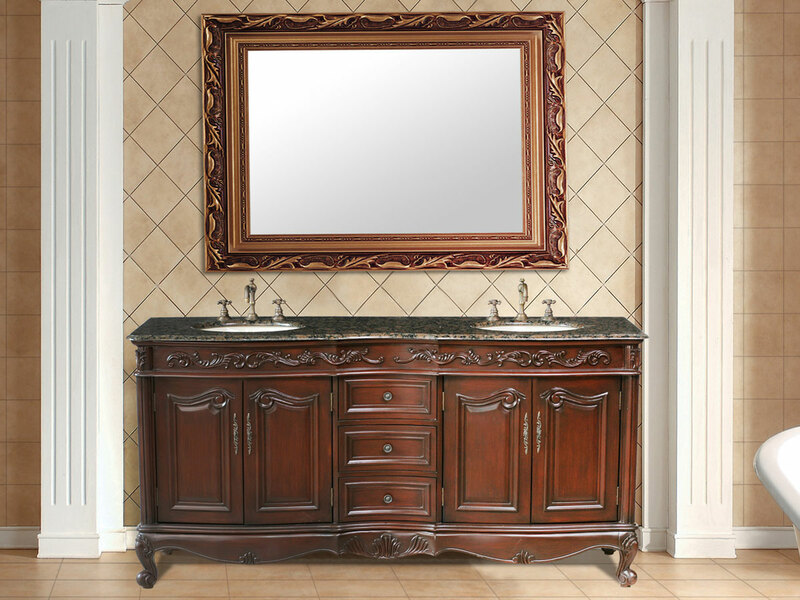 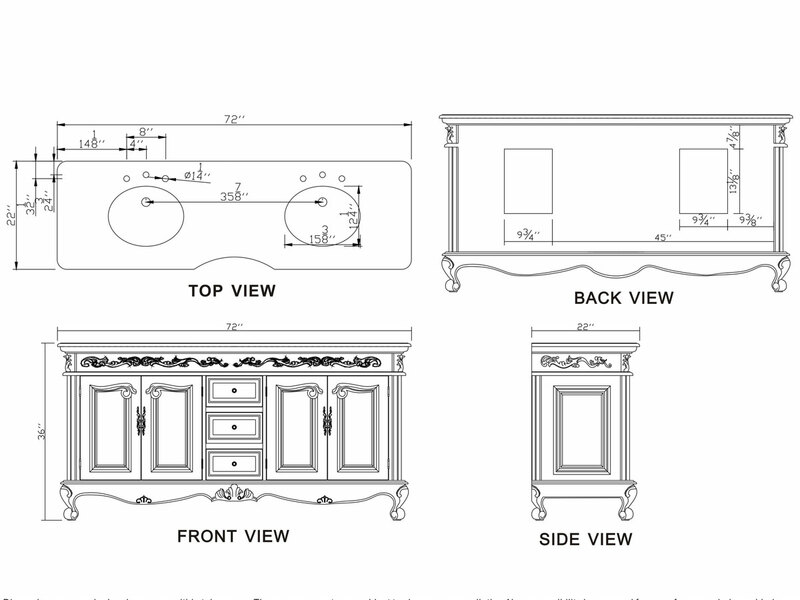 Available with a Baltic Brown granite, Cream Marfil, or Travertine top.